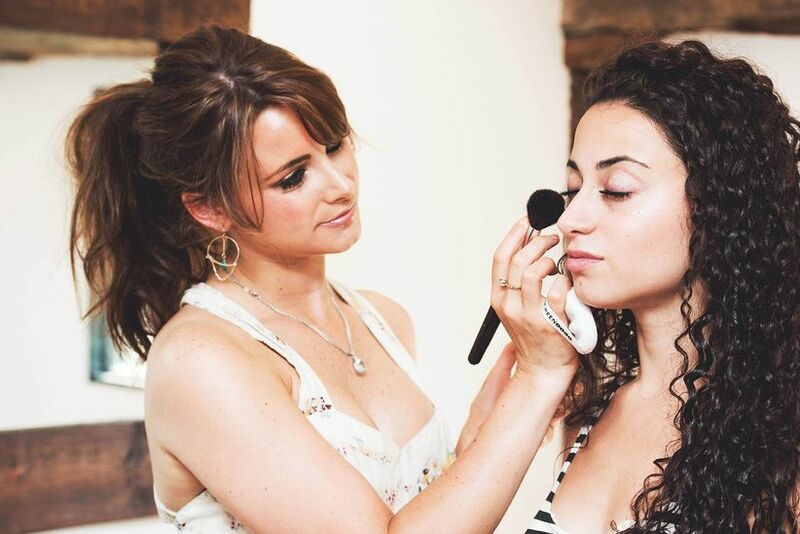 Your Essential Guide to Wedding Makeup | Wedding Tips ARE YOU A SUPPLIER? 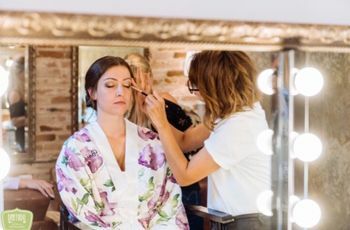 From where to look for an artist to what to bring to your wedding, we’ve answered all the important questions on wedding makeup. 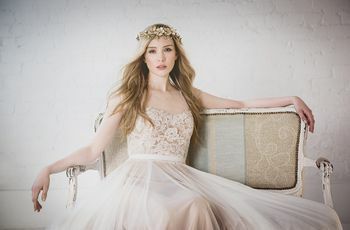 Of course, every bride wants to look like a glowing goddess on her wedding day. While some ladies are skilled with blending, buffing and highlighting, other’s need the help of a seasoned pro to get their desired wedding look. If you need a primer on wedding makeup, look no further, we’ve created this short and sweet tip sheet to help get you started. This is your essential guide to wedding makeup. Where do I look for a wedding makeup artist? Unless you go to a lot of swanky events or have a morning glam routine similar to Kim Kardashian’s, you probably haven’t hired too many makeup artists in your lifetime. So where do you look for one? We’ve created a directory filled with pros across the UK to help you find the perfect person for the job. 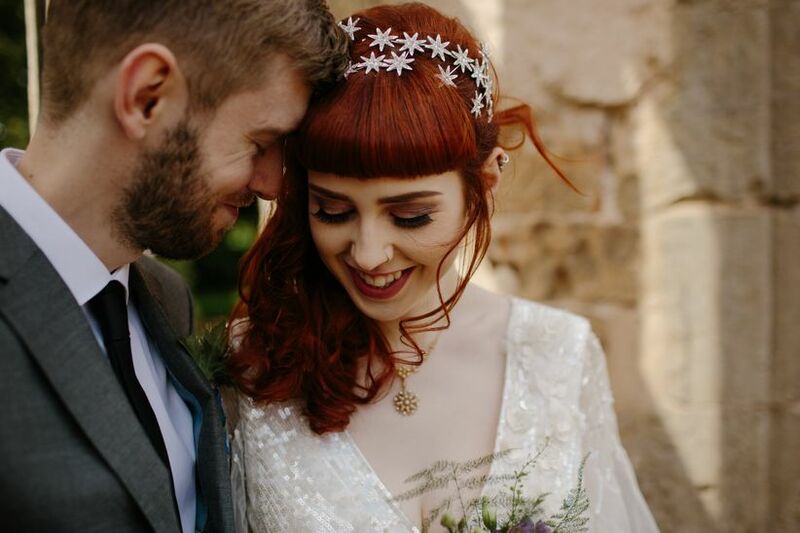 If you’re still coming up short, ask your recently married friends and relatives for the lowdown on their wedding makeup artists, they may be able to point you in the direction of someone amazing. How much should I spend on my wedding makeup artist? Now it’s time to talk pounds and pence. Out of your your total wedding budget, 1% of should be dedicated to your health and beauty. Remember, these funds aren’t just for your wedding makeup - they’re for your hair, any skin treatments and your soon-to-be spouse’s grooming routine, too. 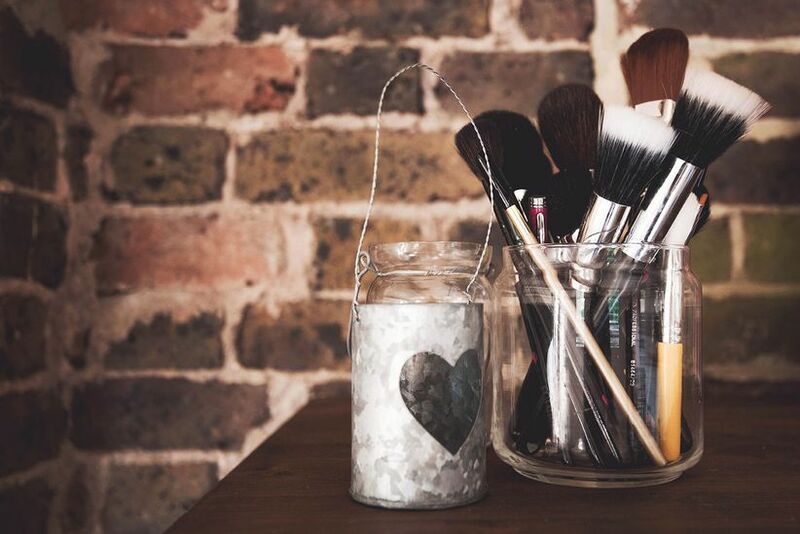 If you need help figuring out just how much you should be spending on a makeup artist, turn to our Budget Planner tool - it’ll help you figure out an exact amount in £s. When should I book my wedding makeup artist? As with most planning tasks, the earlier the better. If your wedding date falls in the summer (AKA peak wedding season) you should start looking for your makeup artist about eight months to a year in advance. If you’ve chosen a spring, winter or fall date, you can wait a little longer to kick off your search (around six months in advance). How do I decide on my wedding makeup? You don’t want to look like a complete stranger at your wedding, so let your day-to-day makeup style be your guide. If you tend to go barefaced, try a more natural wedding look (think tinted moisturizer, a bit of blush and a few swipes of mascara). Or, maybe you rock heavy makeup on the regular? Go for a bold contour, falsies and glittery shadows. Your top priority should be feeling confident, beautiful and yourself. How can I amp up my wedding makeup? Think your makeup style could use that extra somethin, somethin? Try amping up one part of your look instead of overhauling it completely. Ask your makeup artist to go with a bolder brow, add some dramatic falsies or highlight with a heavier hand. Seriously, one small tweak can make a huge difference. What makeup essentials do I need to have with me on my wedding day? You don’t want to be schlepping around a trunk case filled with every lotion and potion under the sun on your wedding day, so only bring a clutchful of essentials for touch ups (you can have more in your dressing room). Lip balm, powder, mascara and blotting paper are definite must-haves, but feel free to pack more. One more thing! 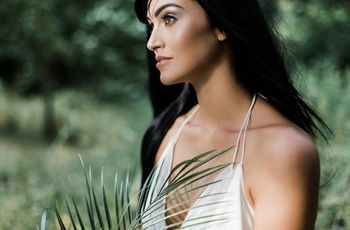 You want to be working with a solid blank canvas, so don’t switch up your skincare routine in the days leading up to your wedding. Trying out new products (even luxury ones) can irritate your skin causing redness and/or breakouts, and nobody wants that!